I started over on her twice and then put her in a box — sounds like she was being punished! I got her out and started again in May. This time I tried Zoukeimura spray from Volks. I had heard that it is less likely to make a White Flush and I found this to be true for Asa. It behaves a bit differently than the Mister Super Clear so I have to use it more to get accustomed to it. The surface is toothier so I gently buffed it with a Magic Eraser sponge after each layer — I had difficulty painting on the rougher surface. Initially the Zoukeimura spray didn’t seem like it was as durable as the MSC. I allowed it to dry longer between sprays and that made a difference. I’m so accustomed to the MSC but I’ll be using the Zoukeimura more — it worked great for Asa and no White Flush! Iplehouse JID “Asa” wearing a hat made by Monica Cooper and sweater by Tara Handknits, a fair trade cooperative in Nepal. Iplehouse JID “Asa” wearing a wig I made and a dress from Iplehouse. 02 Sep	This entry was published on September 2, 2013 at 4:09 pm. 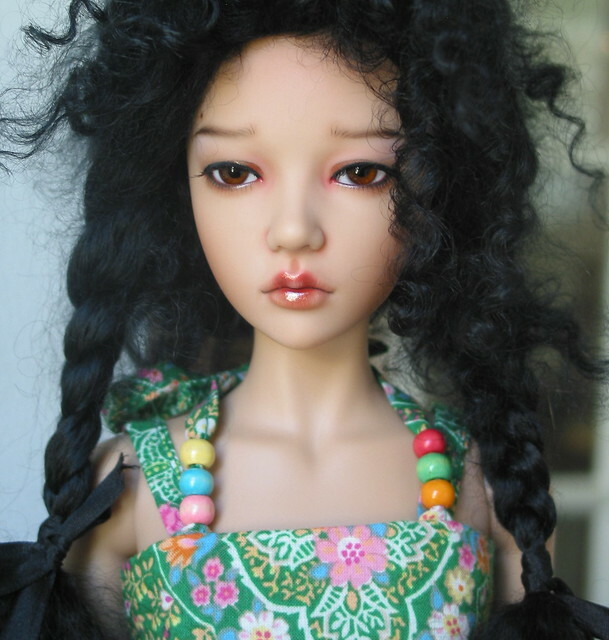 It’s filed under BJD Faceups and tagged ABJD, Asa, Asian, Ball Jointed Doll, BJD, Doll, Faceup, Iplehouse, JID, Mister Super Clear, Monica Cooper, MSC, MSD, Resin, Robbin Atwell, Special Real, Volks, Zoukeimura. Bookmark the permalink. Follow any comments here with the RSS feed for this post. She has such character, serenity and beauty……perfection, Robbin! 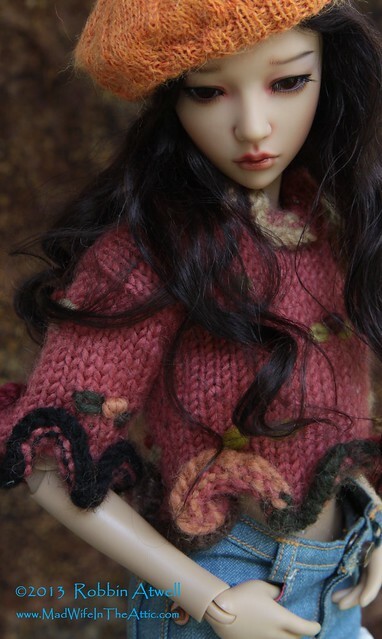 Beautiful photos of a lovely doll. Love how you styled her! Great clothing and wigs! Blessed to see that you’re using a sweater that was from a fair trade cooperative. That is such a joy to me. Human trafficking is such a burden on my heart. Thanks for complimenting my girl!!!! This face up is beautiful! 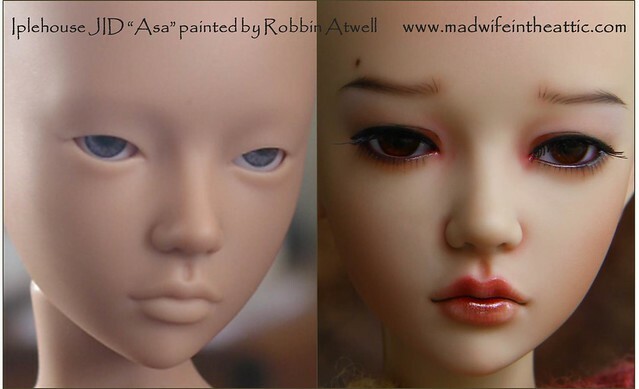 I have a Asa in real skin, which I bought second hand, and therefore I don’t know who did her face up. I really like her, and thought she looked nice. But then I saw the face up you did on her, and I never knew she could look this GOOD! I really like this girl, I am going to look for one of my own!